It’s time to cover up for winter. Building sites all over the UK are preparing to batten down the hatches and to ensure roofing structures are insulated and made waterproof before the onset of the cold and windy season. 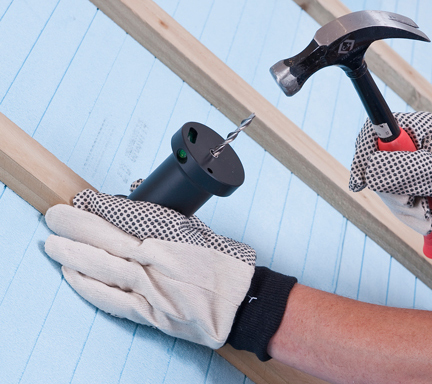 Twistfix have received a big increase in orders of its Super-7 warm roof fixings for insulated pitched roofing insulation and for Insofast flat roofing fasteners for fixing insulation laminates over warm roof deck rafters. The Super-7 is available in lengths ranging from 140mm – 230mm. It is the only helical warm roof batten fixing that has been independently assessed at CERAM with the results applied to a design method approved by the Building Research Estab­lis­hment.­ The BRE approved HeliCalc software is a FREE online calculator that delivers fixing specifi­cations that comply with BS6399 Parts 2 & 3 and applies the appropriate Eurocode safety factors. The Super-7 is the strongest helical fastener of its type and was designed specifically for use in insulation having a thickness of more than 80mm. This extra performance means that at deeper insulation depths upto 40% fewer fixings may be used when compared to 6mm helical fixings that are calculated using the same BRE approved calculation method and Eurocode factors. With HeliCalc available to all why take a chance on any manufacturer that issues specifi­cations on unpublished test data and design criteria? The Insofast ISF18 flat roof insulation fixing has a Super-7 helical shank welded to a dome-reinforced head. It is available in zinc plated carbon steel and in stainless steel versions with lengths ranging from 145mm – 225mm. The ISF18 has been developed specifically for nailing insulation boards, with a laminated 6mm plywood layer, to roofing deck joists. 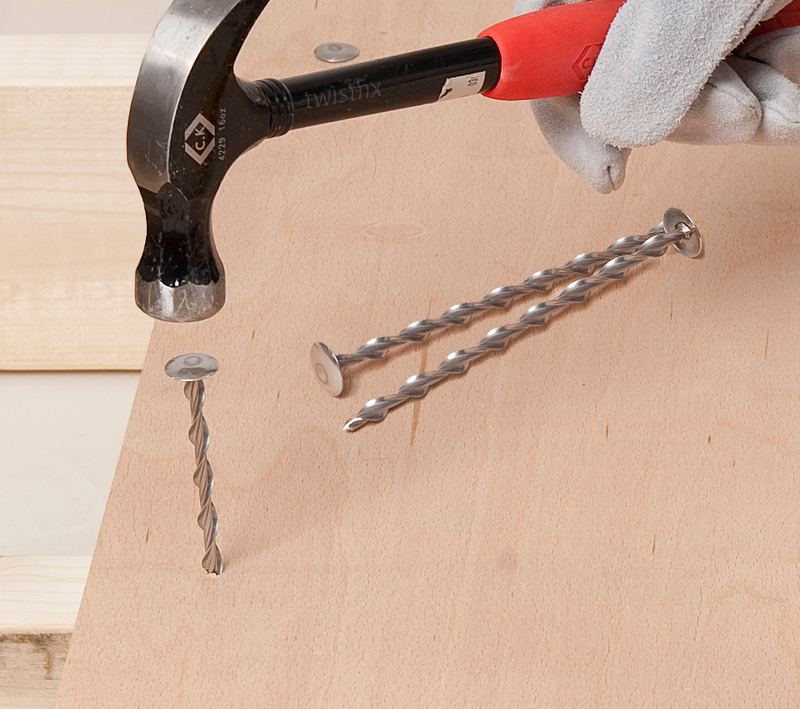 The Insofast fixings can be driven with a traditional hammer or a dedicated SDS driving tool. Whether your roof is flat or pitched and whether your insulation is mineral fibre or rigid foam, Twistfix have a selection of easy to use insulation fixings that will ensure roofing structures are secured in time for the winter.